We recently saw this kitchen makeover here and thought that it would be good to leave you the hottest kitchen trends right now. So, if you’re renovating your own kitchen, why don’t you take a look at our suggestions? These next few pictures will give you an example of good decoration and organization tips that can make your kitchen go from ‘blah’ to amazing. 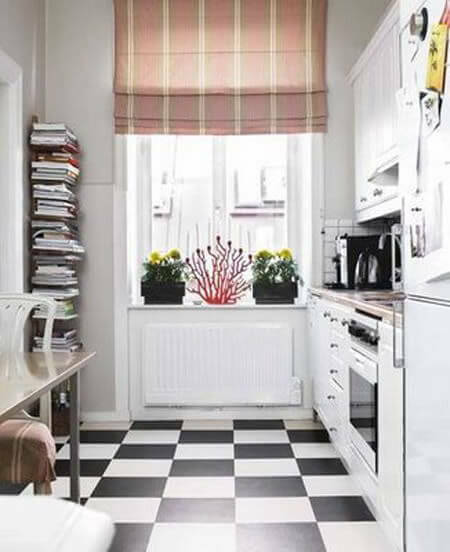 Checkerboard floors are super cool when you’re looking for a retro look. 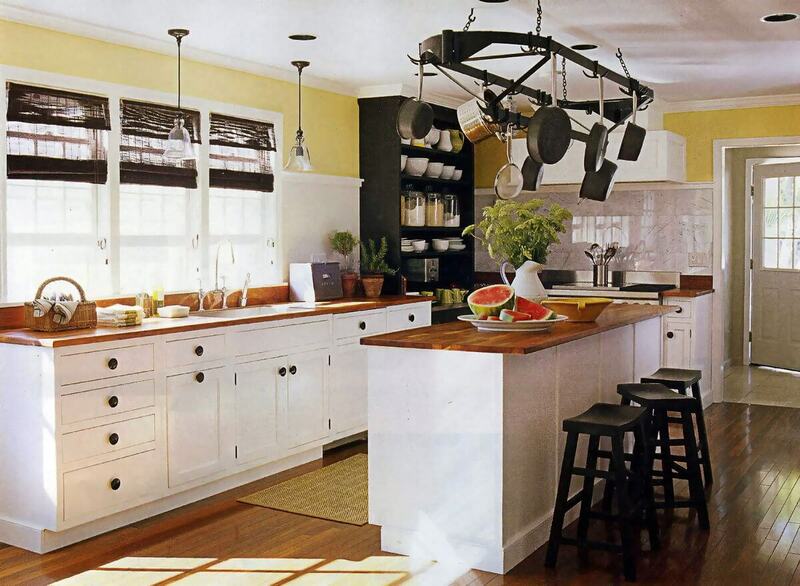 They can add some visual interest to your kitchen and make it seem wider. Also, take a look at the left, where that nice shelf of books is making the most of that corner. Using vertical space is thinking like a professional. 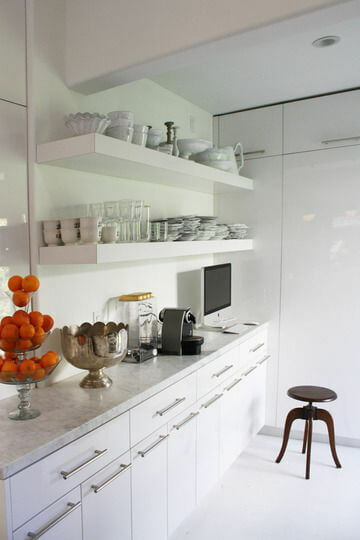 You can also go with the white and minimalist look with some open shelves. Just be careful with what you’re going to put on these shelves. Don’t forget that, when everything is in sight, every single object works like a decorative element. 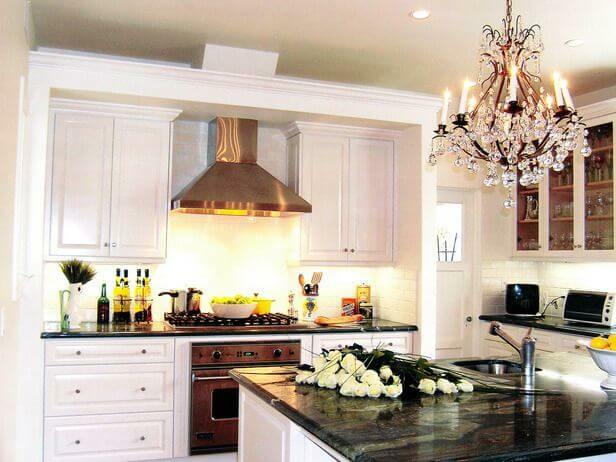 You can choose the traditional look and, yet, break the flow with a statement piece like that chandelier. Pot racks are super cool, especially when you place them in a small kitchen. They look vintage and save a lot of storage space for other items.